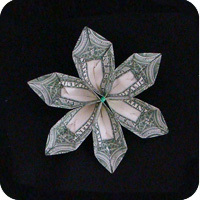 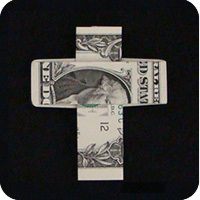 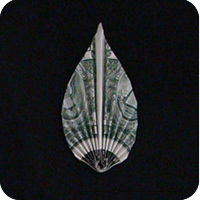 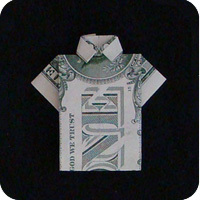 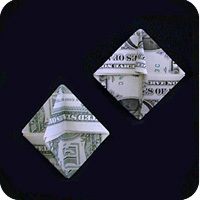 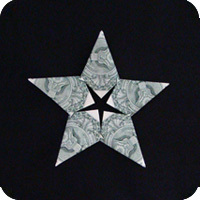 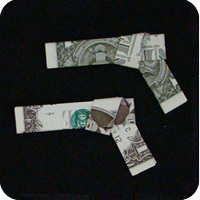 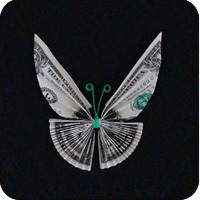 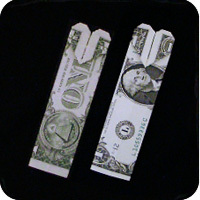 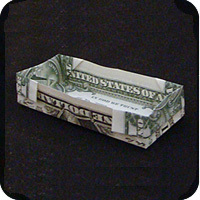 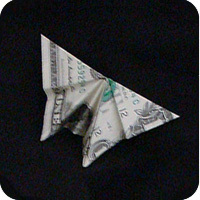 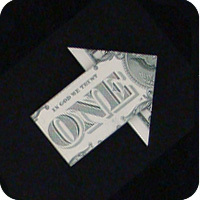 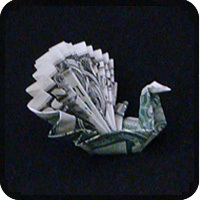 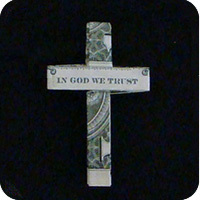 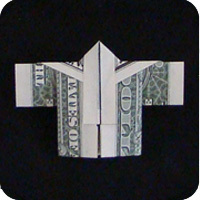 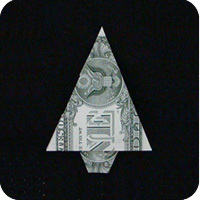 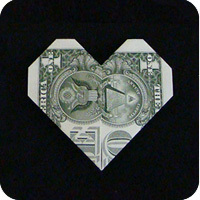 Folding origami with dollar bills is getting more and more trendy! 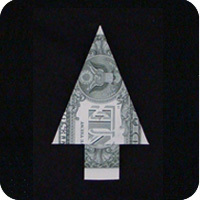 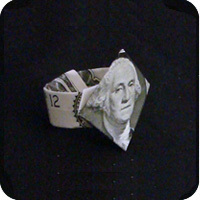 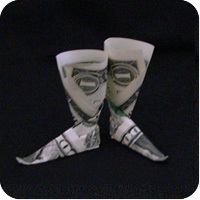 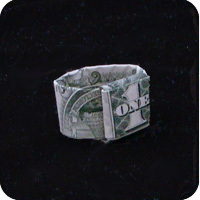 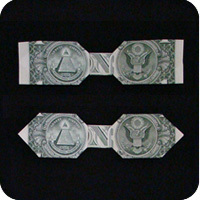 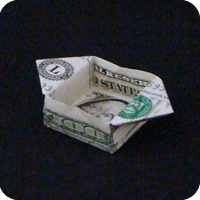 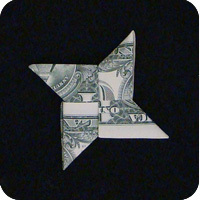 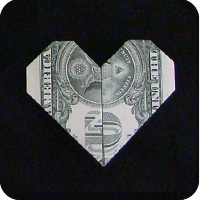 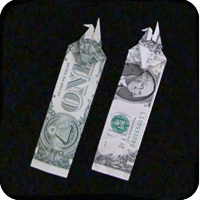 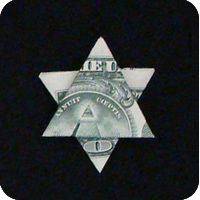 You can see examples of dollar bill origami in commercials but more commonly, people give money origami models as a gift or as a tip to waiter/waitress. 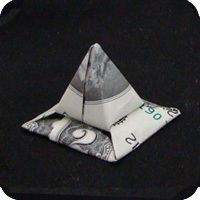 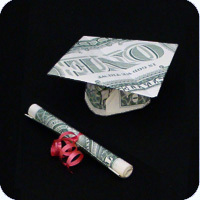 If you have never folded money before, here is your chance to start. 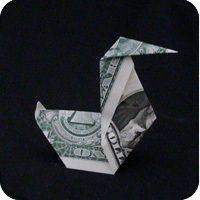 The models listed here are not complicated: all you need is a crisp dollar bill and follow the step-by-step instructions. 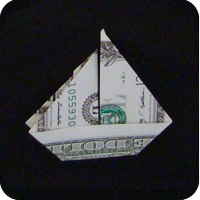 You’ll soon find yourself folding $shirt, $pants, $ties, and even $boots!